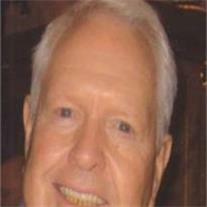 Westlyn Riggs, 76, born June 1, 1934 to Rockford R. Riggs and Julia Whiting in St. Johns, AZ, returned to his Heavenly Father on Sept. 23, 2010 in Mesa, AZ. He will always be remembered as a man who loved his family and his Savior. He is survived by his wife Marlene and their seven children Rita Pico, Raylene Anderson, Rosemarie Gunnell, Russell Riggs, Renay Barnwell, Ryan Riggs, Rebecca Tingey; 5 brothers Ray, Larry Charl, Ken and Wayne Riggs; 37 grandchildren and 12 great-grandchildren. Wes and Marlene served faithful missions for the LDS church in Mexico, Virginia and twice in Ecuador. Visitation will be Wednesday, Sept. 29, 2010 from 6-8 PM at Bunker’s Garden Chapel, 33 N. Centennial Way, Mesa 85201. Funeral services will be Thursday, Sept. 30, 2010 at 10 AM at the LDS Alta Mesa Stake Center, 5350 E. McLellan, Mesa, AZ 85205. He was loved dearly and will be missed. The family requests any donations be made to the LDS mission fund c/o Bishop Gary Porter, 5345 E. McLellan #56, Mesa, AZ 85205.